Lord Flashheart was a First World War Flying Ace and Squadron Commander. Who in a nutshell, was a narcissistic, racist, vain, self-absorbed and arrogant man who did nothing but anything that would give him personal benefits. Here are 10 reasons that Rik Mayall's character Lord Flashheart is inspirational to many 'twenty-minitures" to this day! 1. He makes a grand entrance. Flash has a trademark entrance which normally involves bursting violently through doors, ceilings or walls! 2. He’s got a great catchphrase. Woof! Every hero needs a good catchphrase, and it doesn’t get better than this! 3. Lord Flashheart knows how to flirt. He doesn’t seem to mind bridesmaids with beards either come to think of it! 4. He knows how to laugh – especially at his own jokes. Laugh and the world laughs with you! 5. 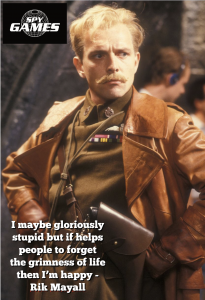 Lord Flashheart is direct and to the point. There’s no point in wasting valuable time on training when you can get into action straight away! 6. He always has an answer for everything. Most of the answers seem to be lewd, crude, and of a boastful nature! 7. The answer might not always be a verbal one! If he ever gets stuck for a witty response, a violent reaction is always to hand. 8. He’s a strong believer in women’s rights (well, kind of). We’ll just leave that one there. 9. He believes in rescuing his brother fliers. Flashheart can also show a softer, sensitive side. Almost. 10. He knows how to make a grand exit! Git! 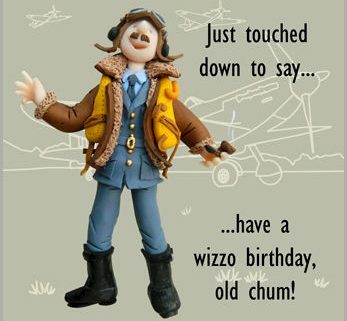 Happy 60th Birthday you 'flying ace' Legend! 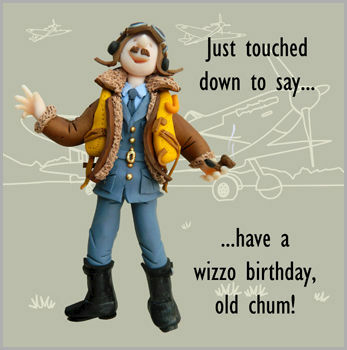 http://www.spy-games.com/wp-content/uploads/2018/03/OLD_CHAP_BIRTHDAY_CARD_grande.jpg 350 347 James Sullivan http://dev.spy-games.com/wp-content/uploads/2016/11/spy-games-300x172.png James Sullivan2018-03-07 09:46:312018-03-07 09:59:15Today Would Have Been 60th Birthday For Wing Commander The Lord Flashheart! Stealthy Website Update! Gift Experience Dates Now Available To See Online The Attack On Former Spy Sounds Like A Movie Plot!